The Supreme Court ordered California to release 33,000 prisoners due to unhealthy conditions and prison overcrowding in the Plata vs. Brown prisoner lawsuit. The high court showed it was serious by demanding the release of 10,000 of these prisoners by a December 2011 deadline. In an attempt to comply, Gov. Jerry Brown will not just release prisoners to the street. He has shifted the burden of housing low level state prisoners back to California’s 58 counties by signing AB109. This new law eases the pressure on the state prison population but does nothing to solve the problem of prison overcrowding. It only increases the likelihood of county jail overcrowding. San Francisco will begin receiving 700 of these low level felon offenders as early as October, according to published reports. However, instead of using our empty county beds, which coincidentally are estimated to be 700, to help the state cure its prison overcrowding problem, we should be showing the state how to continue having empty jail beds. The San Francisco District Attorney’s office has had a history of only using the three strikes law when the third strike is a violent crime. In addition, according to FACTS – Families to Amend California’s Three Strikes – San Francisco sends the fewest three strikers to state prison. What is troubling is that it appears as though politics has crept into the race for district attorney by using the celebrity Alex Trebek, the three strikes law and a heroin addict to help elect George Gascón to a full four year term as the city’s top law enforcer. This kind of overzealous prosecution is how California has overcrowded our 33 prisons with thousands of petty criminals and should be stopped. We should be showing the state how to continue having empty jail beds. “Jeopardy” host Alex Trebek and his wife were sleeping in their San Francisco hotel room when they became victims of a burglary recently. It was described by prosecutors as a “hot prowl,” which means the victims were in the building or residence when the burglary took place. A hot prowl can be serious, but when confronted outside the room by Trebek, Lucinda Moyers, the alleged 56-year-old woman burglar, did not pull out a weapon; she ran. To charge Moyers under three strikes tells me San Francisco prosecutors split hairs in using hot prowl because of the celebrity factor in this case, which could get a few thousand votes or backfire. Candidate for district attorney and incumbent George Gascón promised during a panel discussion at the May 18, 2011, Justice Summit to instruct his prosecutors “not to overcharge cases.” Gascón also called three strikes “bad law,” which impressed some of those who attended the conference co-hosted by Public Defender Jeff Adachi. Instead of playing politics by threatening a 56-year-old heroin addict with a 25-year-to-life sentence to get votes, the new DA should show that he or she is not against criminals but against crime. We need to ask all the candidates for district attorney how will the next DA demonstrate that he or she does understand that we should not be sending nonviolent people to prison? We could spend less than $5,000 a year to keep Moyers off heroin. Or we could spend $52,000 a year or $1,300,000 total to keep her off heroin for the next 25 years as she sits in prison. San Francisco General Hospital helped keep a 40-year heroin addict off heroin by investing no more than $5,000 (not including medical costs) in his rehabilitation. Last I heard he was two years clean and is a volunteer. And he was violent. As we come up on another election Nov. 8, 2011, those of us who are opposed to California’s three strikes law need to ask District Attorney George Gascón a simple question: What part of “release 33,000 prisoners” do you and your staff not understand? And we need to ask all the candidates for district attorney how will the next DA demonstrate that he or she does understand that we should not be sending nonviolent people to prison? Finally, in upcoming debates for the office of district attorney of San Francisco, those who are opposed to three strikes in its current form should demand that the next DA make a commitment not to prosecute any case as a three strikes case until this state law is fixed, which includes a willingness to help change this law. San Francisco writer Allen Jones, author of “Case Game: Activating the Activist,” can be reached at (415) 756-7733 or jones-allen@att.net. Visit his website, at http://casegame.squarespace.com. Last November, the Bay View published his story, “Wanted! Black leaders for California prisoner release court order,” which is followed by an autobiographical note. 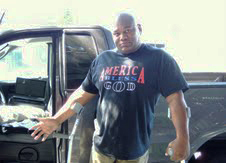 Jones recently wrote this update: “Still living in my truck happy and determined to get people to understand that the answer to all our prison problems is clemency. Clemency is the most powerful tool in criminal justice. We could use this tool to trigger prison reform safely and save billions in tax dollars at the same time. 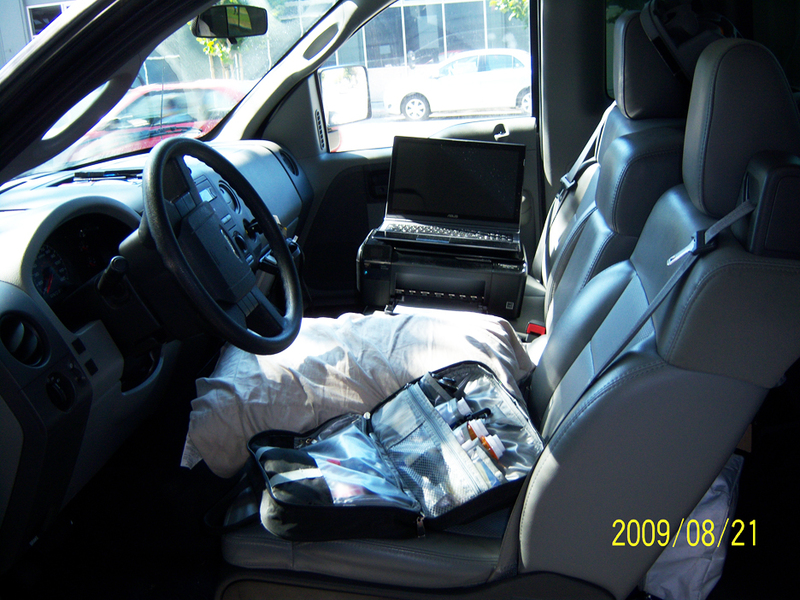 Though not planned, I am living in my truck until I get the attention of Sacramento lawmakers. No politician will take me seriously. After all, I’m just a Black, crippled, homosexual, prison reform activist and homeless.” He lost his home to foreclosure in 2009. Check out what is going on in Los Angeles. Steve Ipsen is a deputy district atttorney running for DA in 2012 and he has your answer to solve this problem. It is called "Reform First". He is looking at the system from a different perspective then any of the other candidates and has your solution. He criticizes elected DA Steve Cooley for his policies of creating outrageous numbers of felons who commit nonviolent crimes. Once labeled a "felon" there are no jobs and no possibility of re-integration. He is white and says that what the policies in the LA DAs office are the problem and that to fix the problem felonizing every non violent crime has to stop. "Reform First" – I am voting for Steve Ipsen for LA District Attorney in 2012. This guy gets it. He has the best idea that I have seen so far.